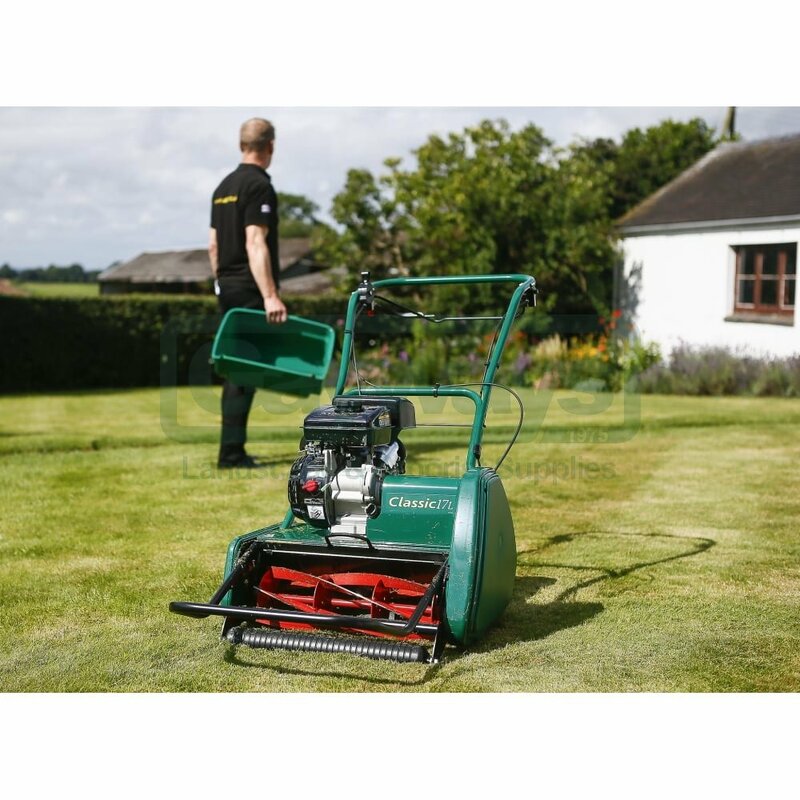 The Classic Petrol mower is available in two cutting widths – the Classic 14L with 14′ (35.6cm) cut and Classic 17L with 17′ (43.2cm) cut, which gives you the option to choose which would be most suitable to your lawn’s needs. 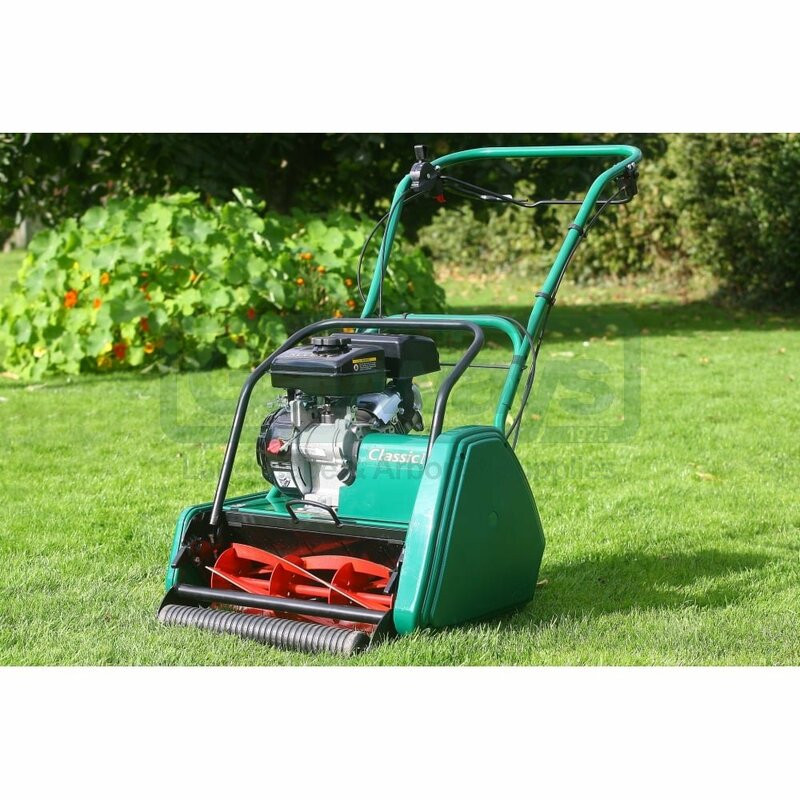 This versatile machine is equipped with a five bladed cutting cylinder, delivering 66 cuts per metre. 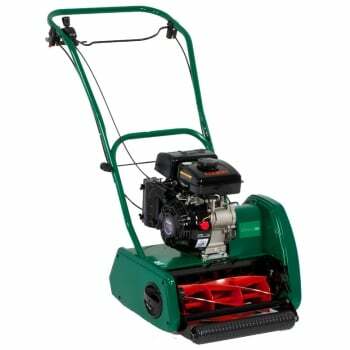 Powered by an 87cc Loncin four-stroke single cylinder unleaded petrol engine with recoil start, it features five pre-set cutting heights ranging from ¼ to 1 ¼ (6mm-32mm). 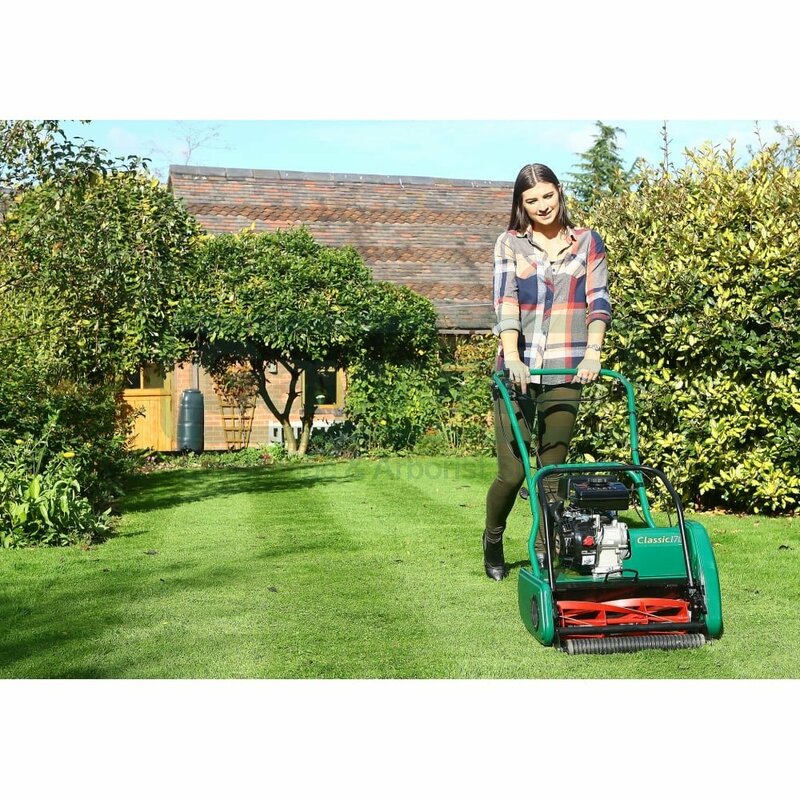 Steel rear roller enables the creation of perfect lawn stripes and handlebars are adjustable to three height positions plus folding. 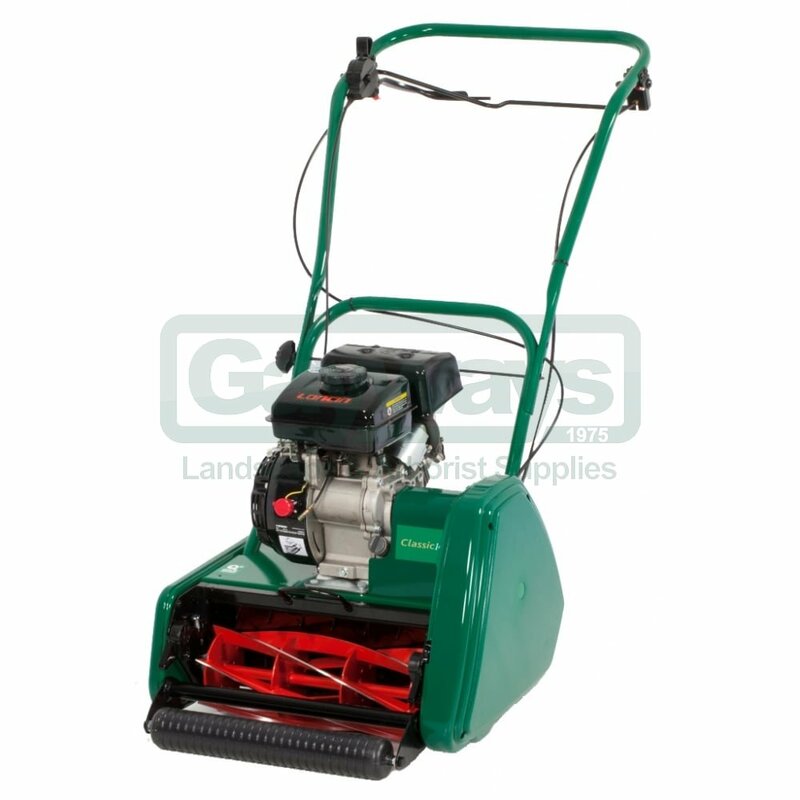 There are twin split bale bar for cylinder and/ or roller drives available. 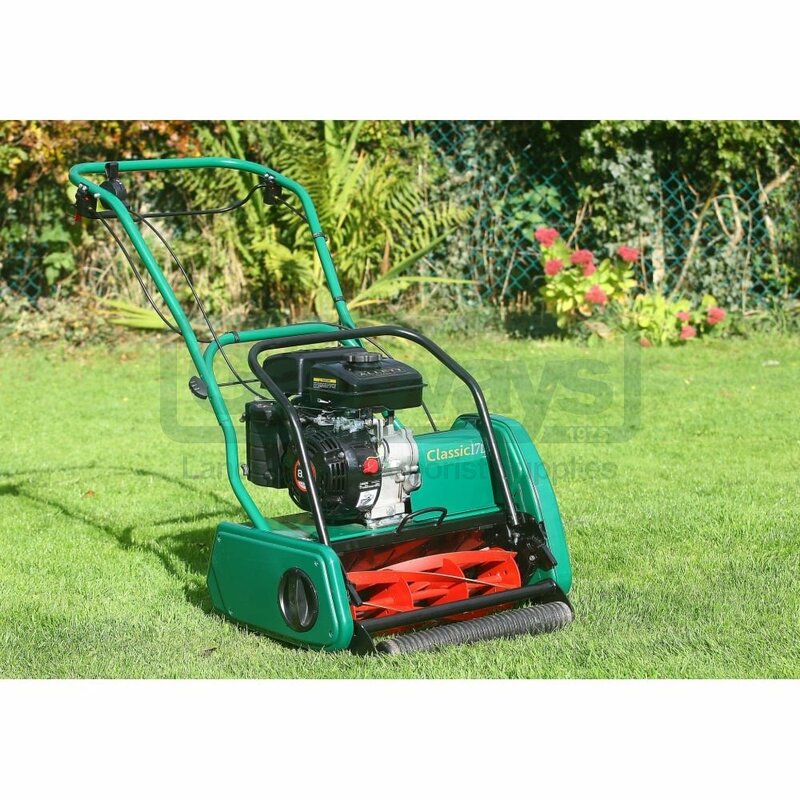 For additional lawn care, an optional powered scarifier cartridge can be fitted easily in place of the mower’s standard cutting unit. 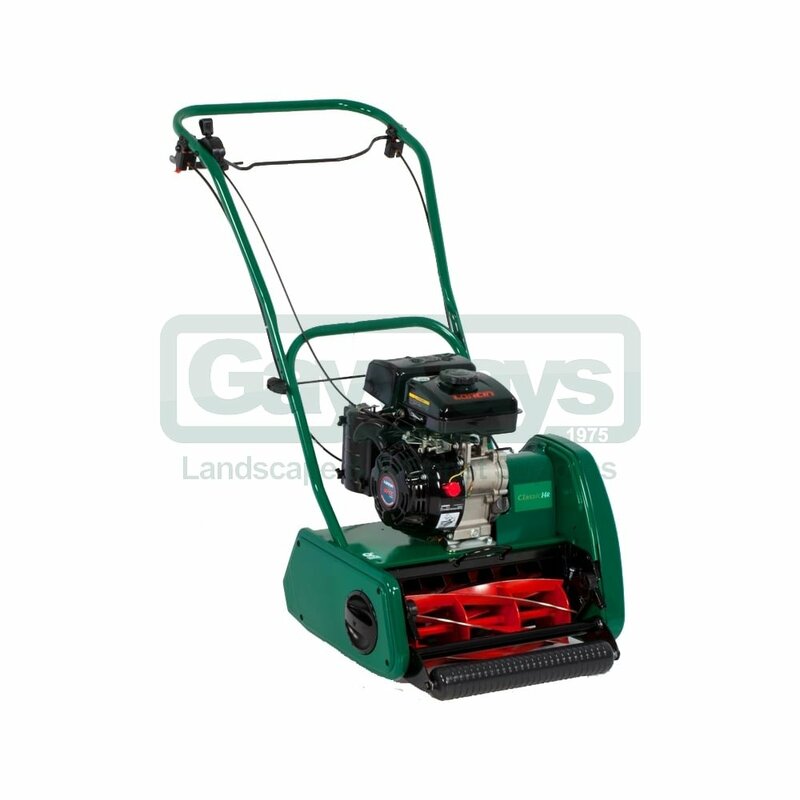 Quick cartridges available for this machine are the aerator, lawn brush, dethatcher, scarifier, verticutter and also the ten bladed cutting cylinder. 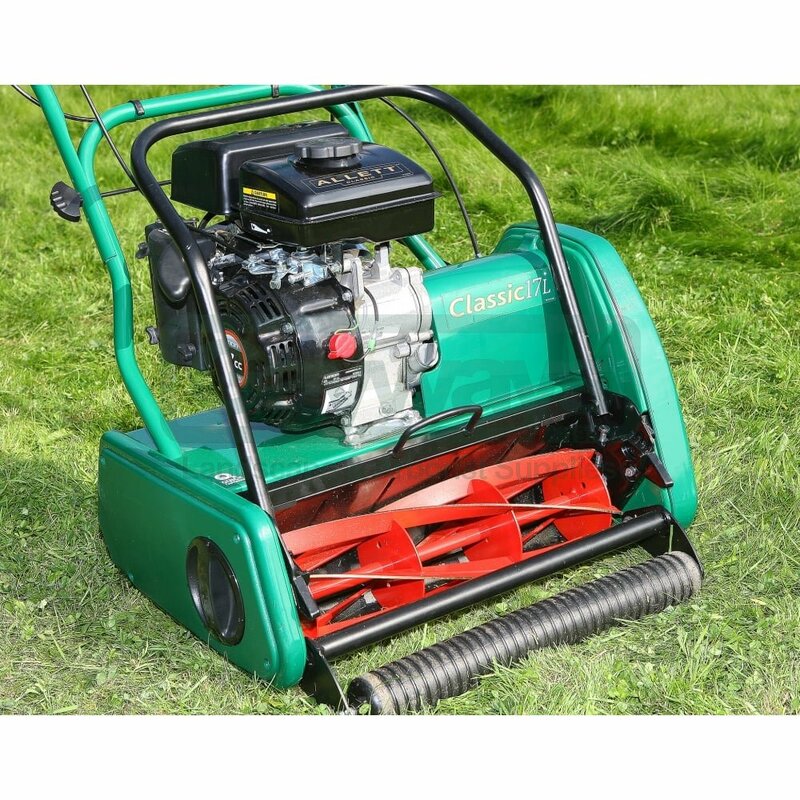 All machines carry our one-year warranty on parts and labour.